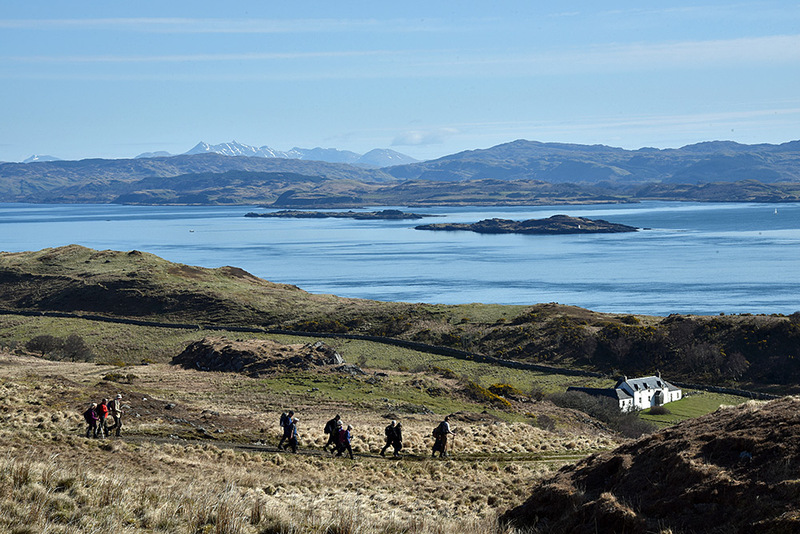 A great view in the far north of Jura, experienced during the Islay walking week in April 2015. On our way to the Corryvreckan whirlpool we passed Barnhill, the place where George Orwell wrote his famous book 1984. In the distance the mainland with some snow still on Ben Cruachan. This entry was posted in Jura Excursion, Landscape, New Post, Sunny Weather and tagged Barnhill, Ben Cruachan, Jura by Armin Grewe. Bookmark the permalink. Imagine that nightmare coming out of such a beautiful place.